Diamond Fun Casino provide entertainment to all Suffolk venues. There are many unique and individual venues, Tudor manor houses, stately homes, elegant country houses and historic hotels within the county of Suffolk. Many of these have retained the charm of original features & offer the opportunity of being lord of the manor at your own event. 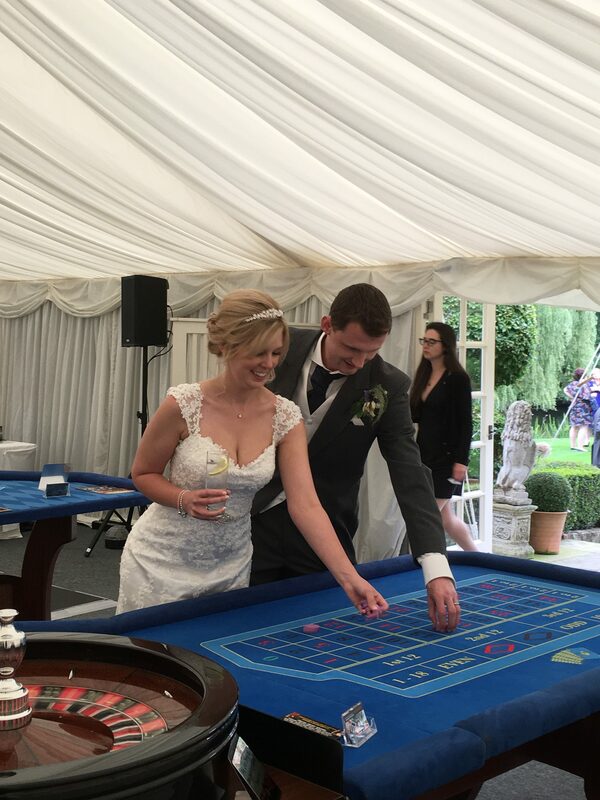 Our fun casino hire is suitable for all venues, whether it is in a large ballroom space or in a small and intimate library within a country house setting. This boutique hotel set within the green Suffolk countryside also has The Hangar, an event space popular with private parties and wedding receptions. 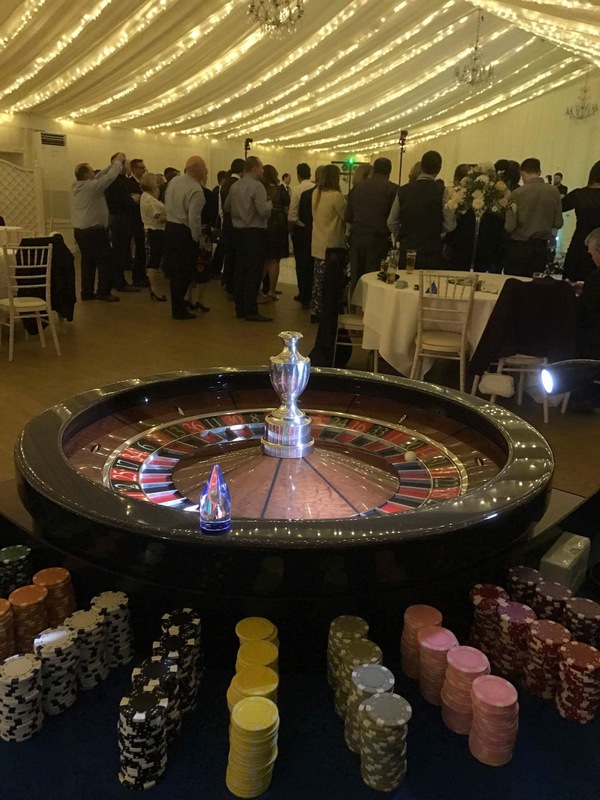 Our fun casino hire here has kept a corporate client’s guests busy playing on the blackjack and roulette tables while at the same time helping to raise significant funds for charity fundraising. Our fun Vegas Gold Cup Horse Race game and ever popular mirror booth have also proved a hit at these events. Within the same group we have also provided great fun casino entertainment at Maison Talbooth Hotel and at Le Talbooth. Le Talbooth is a stunning, half timbered restaurant in the heart of Constable country with a riverside setting. The marquee here provides an elegant event space for private events and weddings. This stunning Tudor manor house near Bury St Edmunds is a popular and exclusive wedding venue where we have been delighted to entertain at a variety of wedding guests. Our fun casino blackjack, roulette and Texas hold’em poker tables have all been enjoyed by wedding guests here. A unique and imposing neoclassical building set within parklands near Bury St Edmunds in Suffolk which is owned by the National Trust. Our fun casino has been sited in a variety of rooms here to provide party guests the fun casino experience. An upscale hotel in what was once a prosperous wool trade village in the 15th & 16th centuries. Many of the buildings of that time remain well preserved today. 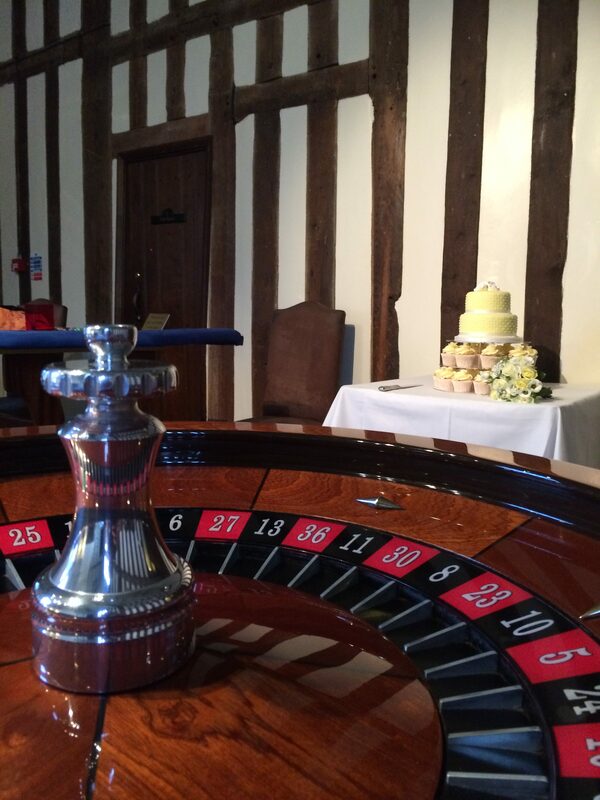 Our fun casino hire here has been a big hit at intimate events, birthday parties and wedding receptions. No matter the number of guests, our fun casino is always popular. There are many other great Suffolk venues for all events. Ipswich has the football club and a variety of sports and social clubs, pubs, hotels and restaurants, all of which our fun casino will be a great addition to any Suffolk wedding, party or corporate event. 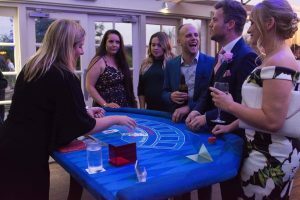 Our fun casino tables are meticulously kept and we use professional ex-casino croupiers who are experienced to be able to give the most discerning party or event guest the best fun casino experience. Just to say a big thank you, all of our guests really enjoyed the casino night, it was a very professional set up. Love Joanne & Gary – Hintlesham Hall, Suffolk wedding.